Have a FREE Spin Today on IGT's Pixies of the Forest Slots Game. This will be a must try pokies machine for you. Right off the bat you fill see beautiful fairies fill up your screen with the lush green background of the forest and the serenity that comes with the fantasy elements of relaxation. Have a FREE spin on the ripper Aussie loved IGT poker machine below. The game is based on the 5 reel slot machine and you will see the Ace, King, and Queen symbol alphabets in front of you. You have the option of playing the entire pack of 99 lines on 33 coins. 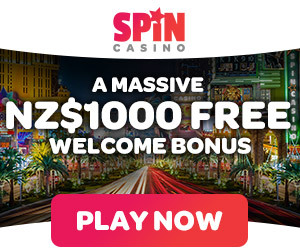 You will also get other bonuses such as wild cards and free spins. The bonus button is right in front and obvious. 3 “Pixies of the Forest” symbols give you 20 points, 4 give you 20 points and 5 give 2,000 points. There are 3 separate pixie symbols with beautiful portrait pictures of the pixies. Each one has different point values with maximum of 1000, 400, and 150 points for 3, 4, and 5 slots respectively. The Ace symbol gives 3, 10, and 40 points maximum on 3, 4, and 5 slots, the King symbol gives a maximum of 30 points and the Queen symbol will give you 25 points at the maximum. The wild card will substitute for all symbols except the Bonus. There is an Auto spin option available here as well. This will allow you to put the game on 10 or 50 automatic spins so you can go ahead and relax, watch the game as it goes or do whatever you please. You can even choose the graphics quality that you want so that your device can play the game up to its maximum smoothness. An option which is available in both free spins and base play is the Tumbling Reel feature just like on the Davinci Diamonds slot game. In this, all the winning combinations that are available kick in, calculate whatever you win and add it to your credits automatically. If you get 3 bonus symbols, this will trigger the free spin option as well. This is a true gem among online slot machine games. It is really easy to play, has beautiful graphics, is newbie friendly, and has many options to choose from. We highly recommend “Pixies of the Forest” as a must play IGT free pokies game for any casino or online gambling game enthusiast.